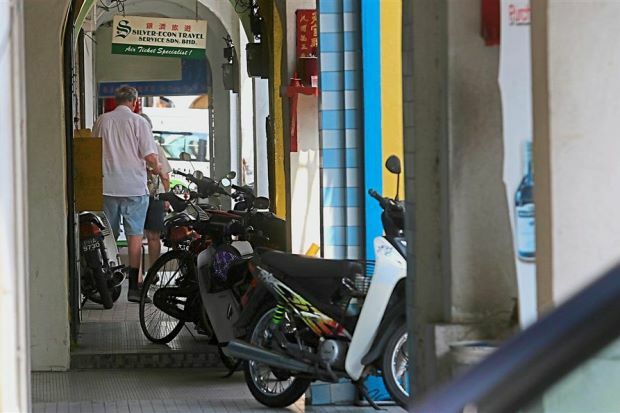 As the Batu Kawan township comes into being, new hope is raised that the quality of life in the state of Penang will be affected positively, and that the bar for urban liveability will be raised. Being a greenfield project, the area promises to show how good planning enhances the well-being of inhabitants and visitors alike. But it would be dishonest to deny the feeling that comes to all who live in Malaysia when looking at the spick-and-span environs that things will not develop all that positively in practice. This scepticism rests on good grounds: the country is not known for its commitment to maintenance – of buildings, of roads, and of anything that is publicly owned; nor is the enforcement of laws and regulations something done reliably or believed in consistently. It would be easy to blame it all on branches of the public service, but a public gets the public service it deserves, in many ways. After all, public servants are part and parcel of the populace that the rest of us belong to on a daily basis. I have noticed how shopping malls in Malaysia can often be as well-kept as those found in clean and efficient cities such as Singapore. But the space in between malls, while perfectly kept and maintained in such cities, tend to be distinguishably unkempt. Unloved may be a better word. What is it then about Malaysians’ relationship to public spaces that leads them to the apparent disrespect of the shared nature of such areas? I suspect the reason for this to be related to certain characteristics of Malaysian life that we in some contexts find affable, therapeutic and even liberating – our propensity to loiter; to makan angin, to “relak” and to “lepak”. In sociology, the term “street corner society” is often used to connote the disenchantment and seclusion of poor young people, and their propensity to gather menacingly and aimlessly on street corners. Popularised by William Foote Whyte through his 1943 bestseller which became a college classic, Street Corner Society: The Social Structure of an Italian Slum (University of Chicago Press), the term dichotomises “corner boys” from “college boys”, and street corner culture has come to signify young, male, urban lower class behaviour. This observation is sometimes criticised for its tendency to dismiss and diminish the social complexities and benefits found in passing the time “on street corners”; and in the Malaysian context, where loitering – whether at the quiet end of a street or in a coffee shop – is a happily accepted and often desired part of communal living, and of urban life in general, this scientific perspective appears to miss the point. And this has to do with it ignoring the regimentation of urban space by the state. In Singapore, public space stretches from simply being off limits to being territory marked for purposeful public use. Public spaces that have not been marked out in such a way, and that are therefore in effect no man’s land even if owned by the state, do not exist. Use of public spaces is instead always regulated and functionally defined. In Malaysia, public spaces are not permeated by intrusion from the state to the same extent. Not by a long shot. In fact, the state seldom interferes in public space usage until and unless it has need of that space. And so, that space is used for the time being by lorries and other vehicles for overnight parking, or by groups needing to get away from public spaces that are more trafficked and more regulated, et cetera. One could consider this to be a dichotomy between rural and urban behaviour, perhaps – where the arms of the metropolis do not care to reach, public space is in effect unowned until claimed by the state or by capital for development and use of one kind or another. In an urbanising and developing society, the line between the one and the other is blurred. People are never sure if they are in a city or in the countryside, where the arms of the law are concerned. And so they, on any occasion, may choose one over the other to suit their present purpose. To their mind, public spaces that are unclaimed and unregimented for the moment, can be claimed by the individual who happens to need it right there and then, for whatever reason – be it to double-park a car on, to picnic with friends on, to jump a queue through, to squat with his family on, or to dump trash on. Thus, public spaces that are unregulated can be temporarily claimed by a person and turned for the time being into individual space, owned by him or her for the brief moment he or she needs it. It would seem that it is the fuzziness between rural behaviour and city behaviour, between poverty and privilege, and between squatting and being settled, that has allowed for this habit of claiming for temporary use to flourish, and may poignantly explain why new townships, however well planned and well meaning, have to sooner or later come to terms with the popular philosophy that unused spaces are up for grabs by whomever happens to need it for the time being. It may well be this attitude that lurks behind the Malaysian disregard: for maintenance; for the co-sharing nature of public space; and for regulations in general; and by extension, even for laws.